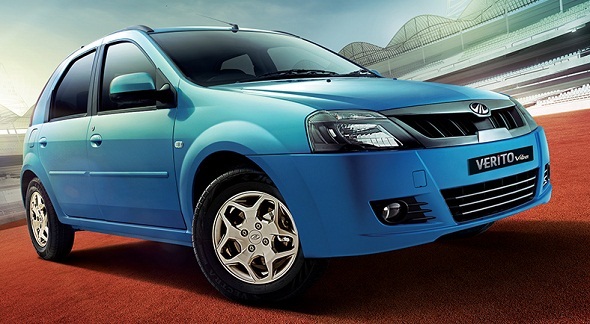 Mahindra Verito Vibe vs Sail U-VA: Better value-for-money car? 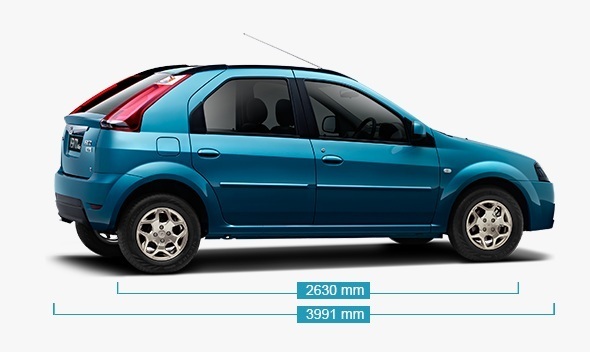 Here is another comparison of the Mahindra Verito Vibe with another competitor – the Chevrolet Sail U-VA, in the premium hatchback segment. The Verito Vibe technically isn’t a hatchback but most will consider it while deciding on a purchase of a premium hatchback. So let’s get to the point straightaway. What does the Sail U-VA have to offer? The Chevrolet Sail U-VA is not a car that would appeal to you at first glance. But it’s one of those that grows on you with its sheer practical value and, of course, attractive price tag. 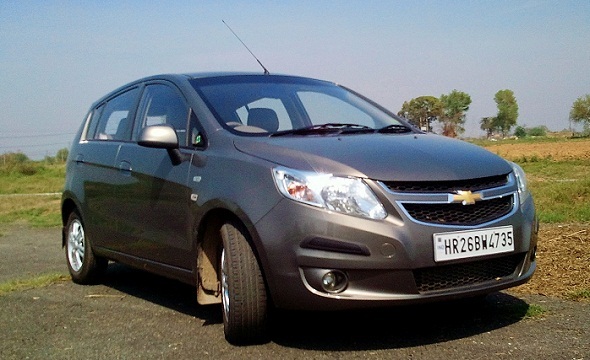 The Chevrolet Sail U-VA 1.3 LT ABS is the fully-loaded version priced at Rs. 6.68 lakh. Exterior features include 14-inch alloy wheels (175/70 R14 tyres), front fog lamps, rear wash-wipe and demister. Interior features include 60:40 split folding rear seats (increases luggage space to 1134 litres), some under seat storage, integrated music system with Bluetooth phone connectivity, manual HVAC, tilt steering, power adjustable mirrors, power windows, dual airbags and a digital tachometer. What does the Verito Vibe offer you? Due to its notchback design and the fact that the Vibe is practically identical to the boxy Verito doesn’t do much for the car in terms of looks. 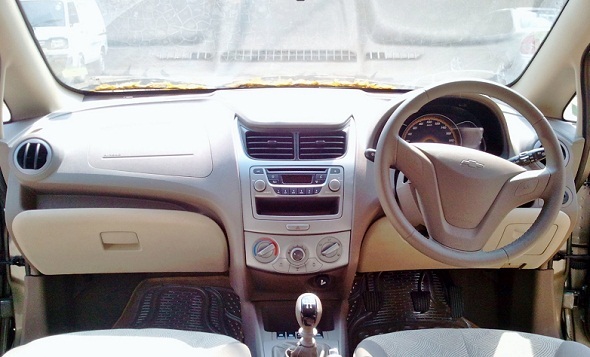 The top-end D6 variant of the Verito Vibe gets a single driver’s airbag, ABS, EBD, power adjustable mirrors, height adjustable seat, height-adjustable steering and double-DIN music system with USB and Aux-in. Though, it misses out on Bluetooth, rear wiper and a rear defogger. As far as the price is concerned there isn’t much of a difference. The fully-loaded Verito Vibe costs Rs. 6.49 lakh (ex-showroom Delhi) against the Rs. 6.68 lakh (ex-showroom Delhi) price tag on the Sail U-VA. For the extra Rs. 19,000 that one may spend on the U-VA, Chevrolet offers a rear wiper, defogger, 60:40 split folding rear seats for increased boot space flexibility and a music system with Bluetooth connectivity. These are small yet important features which add up to the usability and comfort of a premium hatchback. Moreover, in that price difference, you also get better performance. The Vibe on the other hand scores with a much better A/C and height adjustable driver’s seat but loses out quite a bit against the few extra but important features that the Sail U-VA has to offer. If the flexibility and accessibility of the boot space isn’t taken into consideration then the Vibe is still a good option. The Sail U-VA matches some of the best-selling premium hatchbacks in its segment on various factors and would be our pick amongst the two. « DC Gaia – photo gallery!